This month's eNews email is going to all Toolbox Members as normal, and to some non-members, and includes very useful information about share price trends and trend strength (something that is not written about very often). More details are included below. The idea of a trend on a price chart is very important, hence the adage that "the trend is your friend". Something else that is important but rarely discussed is the idea of the strength of the trend. 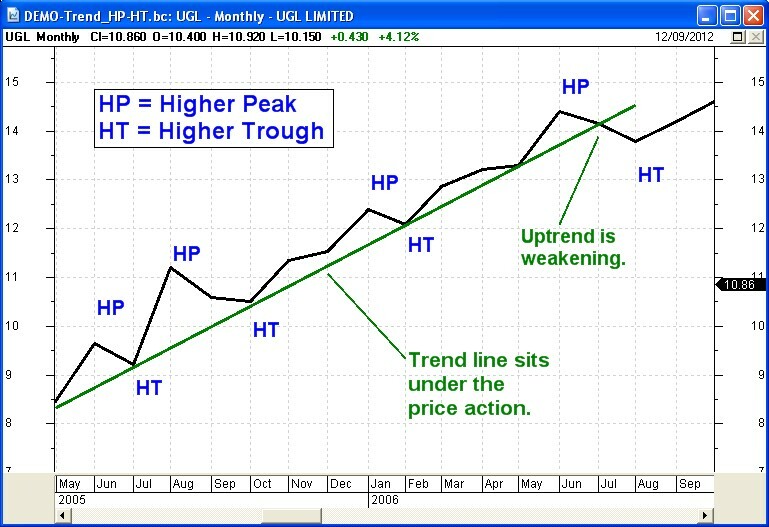 There are a few chart tools that can be used to help understand trend strength. This month's eNews focus is on exactly this topic of trends, and trend strength. (the free page 1 is here). In addition to these, the following free eBook Article has been updated to provide better information about the current upgrade process for the BullCharts charting software package. Article BC-01-000, "Installing and Upgrading BullCharts" - is updated, and explains where the key disk files are stored, and how to do a fresh installation, or an upgrade. There are now a total of 123 Articles in this collection of eBook Articles - a total of 541 pages of information! You can see the Master List of all Articles here (recently new or updated ones are highlighted), and the Detailed Toolbox Index here.